A realtor named Roach? No...noooo...no, it's too easy. Between that and the model car box collection, I'm going back to bed. Boy I really want to speculate about the racial background and parenting skills of these people. But I frankly dont care about their class. That would make me a jerk. Wow. They coated all of that 100 year old wood (steps, trim, molding, bannister, flooring!!!) in white paint. 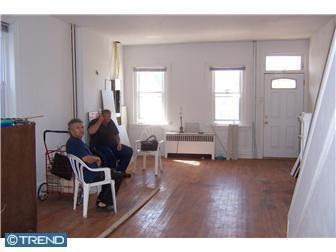 Makes it look like an anemic contractor's special from this century. Takes away any charm that the original must have had. So sad. And any buyer then gets to deal with crappy-looking steps and hardwood in a short time when the paint starts to wear off. Fox and Roach? Sounds like a British-style pub in a particularly filthy part of town. I think I dated this guy. Went to his place for the first time and there was a room devoted to his toys. An entire room. Full to the brim. With toys. I left. I noticed they didn't want the address published. They might have been afraid someone would steal their collection of model cars that don't even look opened. Ummm...speaking as a recovering model and toy collector, that last photo scared me to death. 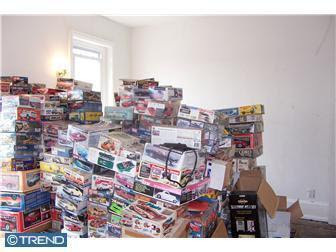 I've read ads in trade magazines for estate sales on gigantic model collections, usually when either the owner died of toluene poisoning from sniffing too much model glue or when the collection shifted and buried him, but I've never actually seen the pile before. Don't worry, E. I know the trends in Britain are likely to have been a little bit different, but if that is the original woodwork, (which I have some doubts about) it was highly likely to have been painted over from the very start, as was popular at the time the house was built. The skirtings would have been replaced when electricity came in, and people would have done horrible, unspeakable things to any original features in the 1950s. Now, I'm off for a swift half down the old Fox and Roach. Did they make that weird jutting out addition to the wall just to house the toys? omg. its so white..why??? why??? Except for that massive collection of models/toys there doesn't appear to be anything else in the house, it's otherwise empty. 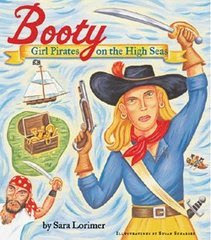 What in the world can the story there be? They took all of their stuff, beat it out of Dodge, and the wife finally saw an opportunity to ditch the eight thousand Hotwheels? At least I understand why the things are in the picture, after all there was a positively desperate need for some color. Are all of those model kits included? If so, SWEET! They're probably worth more than the house itself.